This work is part of a collaboration between the Zimmerli Art Museum and the Department of Art History at Rutgers University, which encompassed two multifaceted academic projects and resulted in an exhibition and this accompanying publication drawing from the Zimmerli Museum’s collection, enhanced by a significant number of loans. 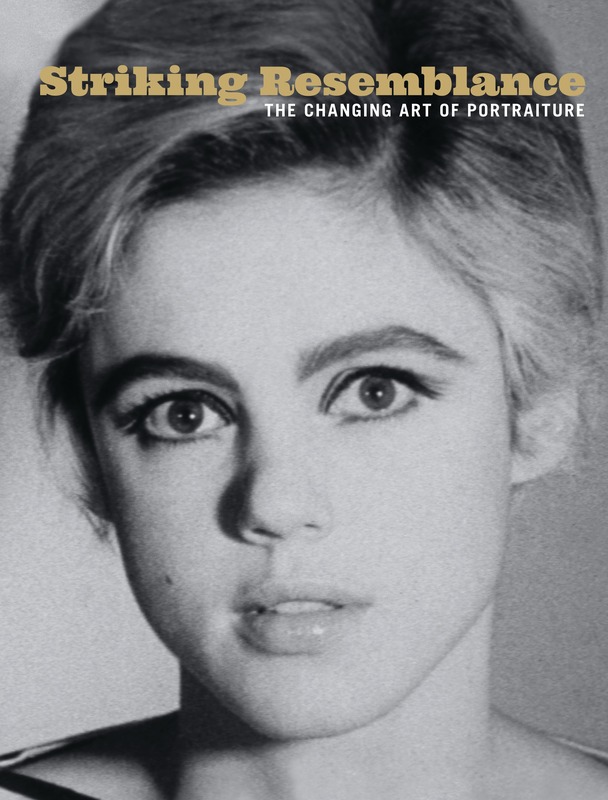 The authors of Striking Resemblance set out to ‘explore the changing face of portraiture in two and three dimensions, and as still and moving images from 1800 to the present.’ The book offers four essays exploring single, double and group portraits. Although the authors include in their survey portraits from the late 18th century onwards, the emphasis is firmly on the 20th and 21st century. Likewise there is a predominance of lens-based works, which make up a significant number of the illustrations and focus of the essays. The first essay ‘One.2.Many: Portraits by Numbers’ (Donna Gustafson & Susan Sidlauskas) serves as an introduction and provides an overview of the questions the exhibition and publication are addressing: from the influence of photography and social media on portraiture, to the social roles portraits play and some thoughts on the relationships between maker, sitter and viewer; portraits as objects in social interchange and as ‘objects of desire’ are cited as being part of the explorations of the book. Many aspects and questions around portraiture are touched upon linked with discussions around changes in social interaction such as Facebook and how portraits play a role in connecting us with our virtual community. What I am missing here is a more in-depth discussion of what constitutes a portrait in the authors’ eyes. The word is often used in inverted commas, indicating that the term is being used loosely or in a non-traditional sense. Particularly in the discussion around Facebook and the use of what I would term ‘autobiographical signifiers’ or ‘avatars’ to represent an individual (e.g. family pet, image of a sunset, or SpongeBob Squarepants) a deeper discourse on how these images represent the individual and their relation to portraits would have been welcome. Are portraits and these autobiographical signifiers or avatars mutually inclusive? Is a portrait a portrait because the maker or sitter declares that it represents him/her? In his essay ‘On the Face of It’ Lee Siegel further explores the single portrait. I found this particular essay a curious read and in places oddly disjointed. Quite a number of the works illustrated in this essay are neither discussed nor contextualised and seem to be there only because they formed part of the exhibition. Except for his analysis of one late 19th century portrait as an example of how naïve viewers in the past were by taking outward appearance as a true reflection of a persons character – a highly debatable simplification of historic attitudes to portraits – Siegel concentrates in his essay on Western contemporary art, film and photography. The essay riffs around the subject with sometimes startling changes between arguments and lines of enquiry. Siegel has a tendency to bold, often sweeping statements intertwined with social criticism and observations on popular culture. For Siegel there is today a widespread assumption that the portrait of a person is made up from the conditions that have shaped him or her. He thus proposes ‘to expand it [the portrait] to include just about any type of image, no matter how tenuously connected to the portrait’s subject’. The next chapter ‘Couples and Doubles’ by Donna Gustafson introduces different aspects of the representation of two in a portrait: from two people to a single individual doubled, the overlaying of two portraits and other strategies of disrupting the representation of a unified self. 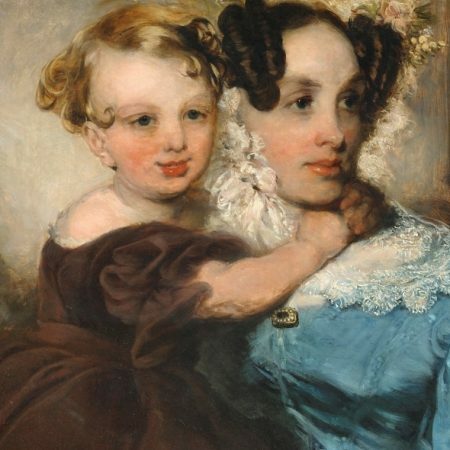 Gustafson’s essay makes reference to the historic roots of the double portrait in Western art as well as touching upon psychological double portraits, such as of the shadow self or evil twin. She also discusses the particular role twins’ play in African and African diaspora art, where the representation of the biological twin but also of the ‘inner’ twin is of great significance. The last part of the essay looks at the strategy of doubling/overlaying and reflecting as used by contemporary artists in Western as well as in Soviet and post-Soviet art to investigate relationships between historic and contemporary portraits. The book concludes with Susan Sidlauskas’ ‘When Two or More Are Gathered Together: Portraying the Many’. Sidlauskas draws out the tension between the individual and the group, the questions of conformity versus individuality, which is played out in these images. Interestingly she includes in her discussion works by Igor Makarevich and Gary Schneider in which the artists assemble single portraits and through installation technique create a group. The latter works with a set of found 19th century Cartes de Visit images, imposing a new connection on these unrelated portraits. In the foreword the reader is promised ‘a fundamentally new and exciting exploration of how people view themselves’. However, although there are many interesting points raised by the three authors, I am not left with any ground-breaking insights. As the authors attempt to address so many aspect of portraiture in fairly short essays and with a limited selection of work, it is probably unavoidable that the discourse remains for most parts on a fairly superficial level. I found Striking Resemblance informative but lacking an overall synthesis which could truly be seen as a paradigm shift in the study of portraiture.